Sara, a librarian at a Texas library, closes The Seals on the Bus by Lenny Hort, a book she has just read with a group of 2- and 3-year-olds. Seated on the floor around her, the children each wear a name tag in the shape of a car. With their parents and caregivers nearby, the children sit calmly, listening to books about transportation and occasionally answering questions or making comments. In between books, Sara leads them in rhymes and songs about cars and buses. This peaceful and relaxed scene soon changes: Sara pulls out rolls of masking tape, bowls of tiny plastic road signs, and bins of toy cars. The parents and children spring into action. At Sara’s suggestion, the adults construct roads on the carpet using the masking tape, and the children put up the signs and drive their cars. Within minutes, a tangle of roads crisscrosses the floor. “Do you know what this means?” one mother asks, pointing to a yield sign. “It says yield, which means you let the other car go first.” She has her child wait while another child drives his car through. “Can you put the stop sign at the intersection?” a father asks. His child looks back at him. “The intersection is the place where the two roads meet,” he explains. The idea of fostering parent engagement is not new to public libraries. Family literacy has been a focus since at least the late 1980s, when a national movement emerged following the publication of “A Nation at Risk” (National Commission on Excellence in Education 1983). Since then, librarians in both formal programs and informal interactions have encouraged families to read and learn together. Children learn more words when they have opportunities to respond to adults’ questions. Every Child Ready to Read emerged with this movement. Developed in a joint effort by the Public Library Association and the Association for Library Service to Children, the program’s principles are seemingly simple: reading is an important life skill, learning to read starts at birth, and parents play instrumental roles as children’s first and best teachers. Librarians encourage parents to engage with their children using five practices crucial to literacy development: talking, singing, reading, writing, and playing. While these practices are already part of many families’ daily routines, ECRR librarians see their role as affirming that, and explaining why, parents are important to children’s literacy development. The ECRR initiative, adopted in some capacity by nearly 50 percent of the 9,000 libraries throughout the United States, is rooted in a wealth of research showing that parent–child interactions are critical to children’s cognitive and social development, and are also a key predictor of later success in school (Neuman & Roskos 2007; Guttentag et al. 2014). The amount of speech parents direct toward infants influences the amount of language and vocabulary children develop (Weisleder & Fernald 2013). Many of the words children hear come during playful activities. The time parents and children spend singing, drawing, or playing games, for example, can positively impact a young child’s language growth and future literacy, since this time tends to increase vocabulary (Weigel, Martin, & Bennett 2006). Likewise, large motor activities that adults and children engage in together, such as jumping and marching, can aide in literacy development (Kirk et al. 2014). “By combining physical activity with lesson plans, teachers can work on both cognitive skills and physical activity, engaging children in ways that keep them active during the learning process” (Kirk, Fuchs, & Kirk 2013, 158). Games like Simon Says allow teachers to intentionally combine academic content, like new vocabulary or math concepts, with movement (2013). Given how crucial reading together is for language and literacy development, public libraries should have a major role in helping parents and children interact and play in meaningful ways to increase children’s vocabulary. Located in nearly every community in the country, libraries are open during the evening, on weekends, and throughout the summer to accommodate busy families. What’s more, their services are free. Filled with books and other resources, they offer print-rich environments full of novel words and experiences where families are increasingly coming to play, read, and learn together. Space observation: We examined each library’s physical space to see how environments were arranged to encourage parent–child interactions. We logged available play areas, toys, play objects, and computers; comfortable seating for parents and children; and activity stations where parents and children could interact. We also noted any type of sign, poster, or brochure that encouraged parents to interact with their children. Story-time observation: We observed the ways librarians used story-time programming to foster parent interaction and promote talking, singing, playing, reading, and writing. We noted if and to what extent free play, music, large muscle movement, and/or small motor activities were incorporated along with storybook reading. Programming analysis: We systematically documented the amount and types of programming offered during a typical month at each site, using library websites and calendars, and corroborating our findings by contacting librarians. We coded types of programs offered, such as programs for children from birth through age 5 or programs targeting STEM (science, technology, engineering, and math), to better understand libraries’ priorities and approaches. As these findings show, libraries can become community leaders in fostering parent engagement and young children’s school success. 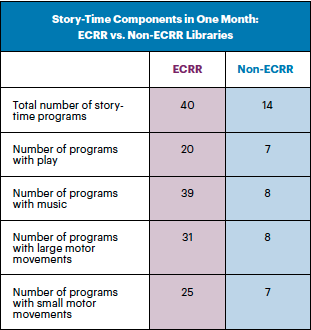 ECRR libraries have taken greater strides in this movement than those that have not implemented the program. 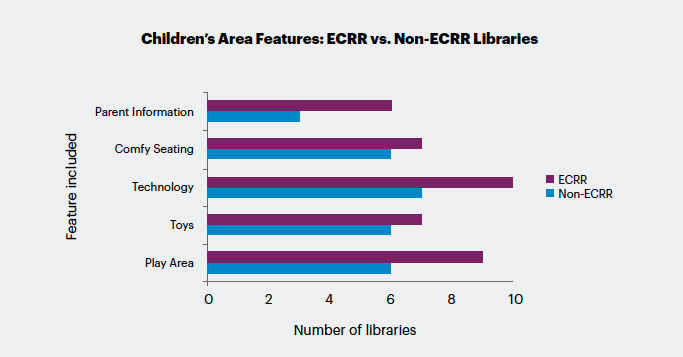 Fortunately, our research demonstrates positive shifts in both library spaces and programming as libraries harness the power of play to insure school readiness. Many libraries are remodeling their children’s areas to provide space for family interaction. This includes having a play area with toys, technology for children, and comfortable seating dedicated to caregiver–child interactions. As a result, the children’s areas in public libraries are often noisy, lively places where families learn from each other. In a Missouri suburb, for example, the ECRR library has become a destination for families in the community to play. The extensive children’s area features a play cabin called the Friendly Book Inn. There are stacks of large Legos, multiple plastic pieces of food and containers, three metal child-sized shopping carts, a handheld drawing board, and a wooden railroad set. Libraries are changing traditional story-time programs to reflect the importance of play, especially with toddlers and preschool-age children. These include programs such as “Parachute Play for Toddlers,” “Play Baby Play!,” and “Music and Movement.” Other new titles allude to fun (“Fun for Ones”) and parties with toys (“Books, Blocks, and Tots”). Play at the library draws families in and helps them learn how early literacy develops, with a focus on developmentally appropriate activities for children of different ages. Play is incorporated in various formats. In some programs, librarians bring out toys, balls, and games after the story portion of the program, encouraging families to stay and play together. At other times, the play portion is more elaborately designed to coordinate with the program’s theme. For example, an ECRR library in a rural New Mexico town offered a “One World; Many Stories” program for preschoolers. First, the librarians had children and parents listen to a storybook and then sing a song related to the theme. The librarian then explained the various play stations, each representing a different country or city. For China, parents helped children use tweezers (simulating chopsticks) to pick up colorful plastic elephants from one bowl and put them in another. For Rome, they played hopscotch in the middle of the floor, emulating a game Romans played with stones. Other play opportunities included multiple puzzles, a child-sized bowling set, magnets on a whiteboard, and an activity center where families could pour rice into empty plastic water bottles to create shakers. More library programming is incorporating STEM/STEAM, with offerings such as “Family Lego Night,” “Preschool STEAM,” and “Playdough Lab.” These enrichment activities offer children opportunities to hear novel words and explore new concepts in a play context, adding to their vocabulary and knowledge development. For example, a Texas library offers three story-time programs: “Color Science,” “Space Day,” and “Water Science.” In these programs, the librarian typically reads several books related to the theme and then children and parents complete an experiment. The “Water Science” program, for instance, features several tables with large tubs of water where children predict whether objects will sink or float. Many libraries offer bilingual story times, with program titles such as “Amigos y Libros” and “Toddler Tales and Playtime: Spanish,” among others. Bilingual story times especially benefit dual language learners, who often start school with smaller English vocabularies than their English-only classmates. At a bilingual story time in an urban ECRR library in California, for example, a librarian led parents and children in songs and rhymes, first in English and then in Spanish, reminding parents of the benefits of speaking to their children in their home languages. Libraries are increasingly offering programming solely for parents (during which children are with library staff in a different room). In these sessions, librarians offer advice and suggestions on how parents and other primary caregivers can play with their children in ways that promote vocabulary development during their daily routines. At a suburban ECRR library in Maryland, for example, a librarian offered the following suggestions during a parent-only session: “Talk every day to your child—it could be at breakfast or in the car. Let him respond.” “Pretend play is important. When you are playing, pretend you and your child are the characters in the book.” “Ask, ‘What are you doing?’” “When you hear music at home, sing along with your child.” In these programs, parents often receive takeaway materials and suggested activities they can use to engage with their children at home. 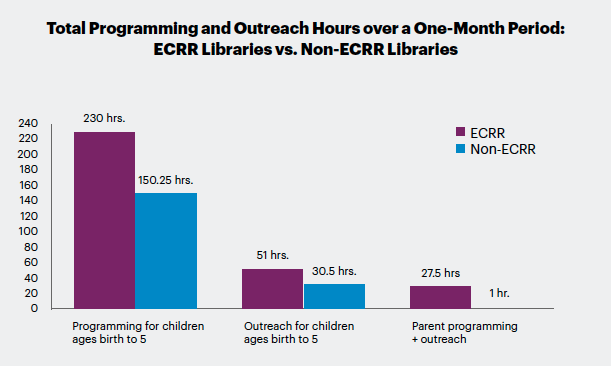 Our investigation shows that public libraries, particularly those participating in the Every Child Ready to Read program, are increasing their efforts to strategically focus their services on fostering parent engagement. As champions of family literacy, libraries offer programming, space, and resources that promote critical parent–child interactions through the everyday practice of playing together. These changes are not without challenges. Public libraries constantly face funding shortages, which could prevent them from purchasing toys and other equipment to foster play. 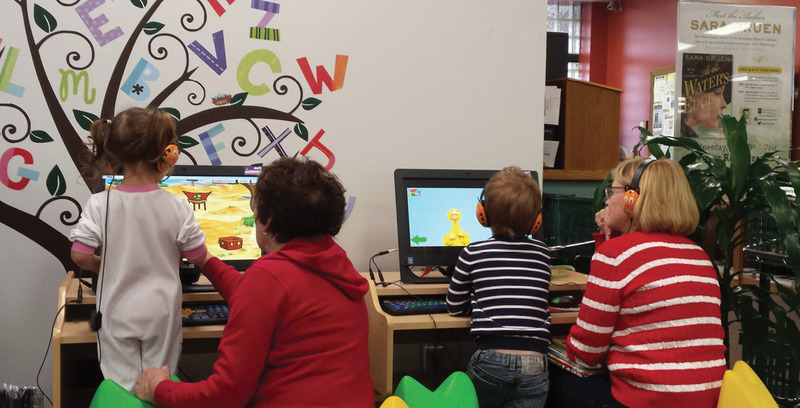 Some libraries do not have the physical space for an expanded play area; some librarians are better prepared than others to address parents or incorporate activities such as singing into their programming. Our research has convinced us, though, that the movements spurred by programs such as Every Child Ready to Read are enduring shifts that will continue to grow. Although libraries’ emergence as leaders in school readiness is a relatively new role, we believe it is one that will substantially benefit the children, families, and communities they serve. Many local library branches offer materials, such as brochures, activity sheets, or posters, that encourage parent engagement. Teachers can share these resources with children’s parents. In addition, teachers can encourage parents to attend events and programming at their local libraries. By working with school librarians, teachers can help develop a space in their school that encourages families to stay for a bit to explore books, toys, computers, and other interactive media. The space should entice families with comfortable seating, adequate lighting, and resources that both explain the importance of parent–child interactions and offer simple tips for enriching interactions. Bilingual families should be greeted with materials in their home languages and decorations or design elements featuring their cultures. Teachers can also plan events for children and their families designed around a particular theme or subject. In addition to reading books, the event should incorporate related play, music (including singing), and large motor activities, such as dancing or marching. Teachers can model storybook reading techniques and casually offer tips on the importance of parent–child interactions. Keeping the mood fun and playful will affirm for parents that their everyday practices of playing, singing, and talking are important to their children’s school success. With the help of the school librarian (or perhaps a local branch librarian), teachers can hold a parent-only workshop that explores parent engagement and its relationship to school readiness. Parents receive takeaway sheets with ideas for activities parents and children can do during routine chores like running errands, sorting and folding laundry, and bathing. Additional ideas might suggest how families can engage using interactive media, such as educational apps or e-books. 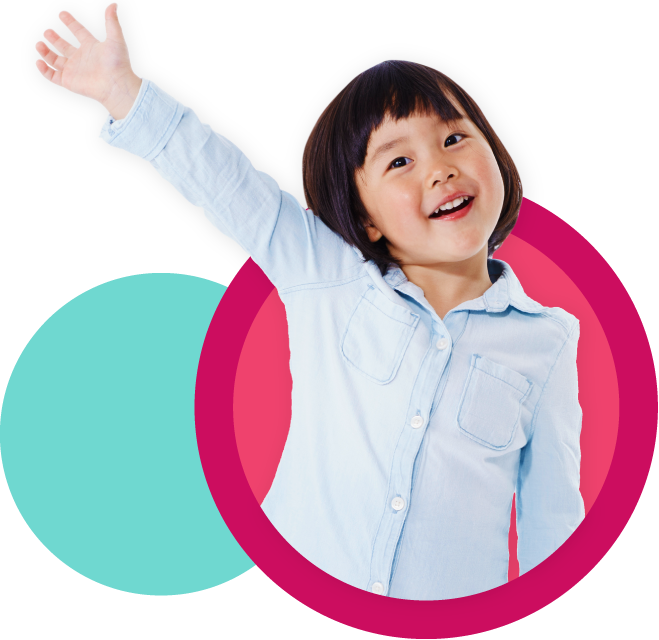 This website provides more information about public libraries’ focus on family literacy and highlights several library initiatives that inspire families in ethnically diverse communities to read and learn together. At this website, readers can find additional information about the ECRR initiative. 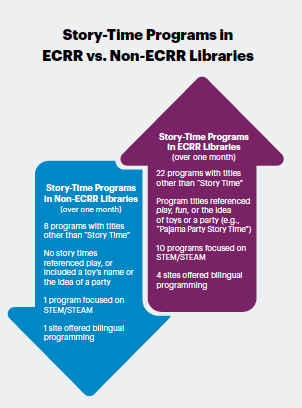 The ECRR toolkit (available for $200) provides youth librarians, early childhood specialists, and preschool teachers with resources to present workshops demonstrating how parents and caregivers can engage in talking, singing, reading, writing, and playing to develop children’s language and prereading skills. Guttentag, C.L., S.H. Landry, J.M. Williams, K.M. Baggett, C.W. Noria, J.G. Borkowski, P.R. Swank, J.R. Farris, A. Crawford, R.G. Lanzi, J.J. Carta, S.F. Warren, & S.L. Ramey. 2014. “‘My Baby and Me’: Effects of an Early, Comprehensive Parenting Intervention on At-Risk Mothers and Their Children.” Developmental Psychology 50 (5): 1482–96. National Commission on Excellence in Education. 1983. “A Nation at Risk: The Imperative for Educational Reform.” A Report to the Nation and the Secretary of Education United States Department of Education. https://bit.ly/1BpI7OU. Weisleder, A., & A. Fernald. 2013. “Talking to Children Matters: Early Language Experience Strengthens Processing and Builds Vocabulary.” Psychological Science 24 (11): 2143–52. Spread the Love (of Books)!